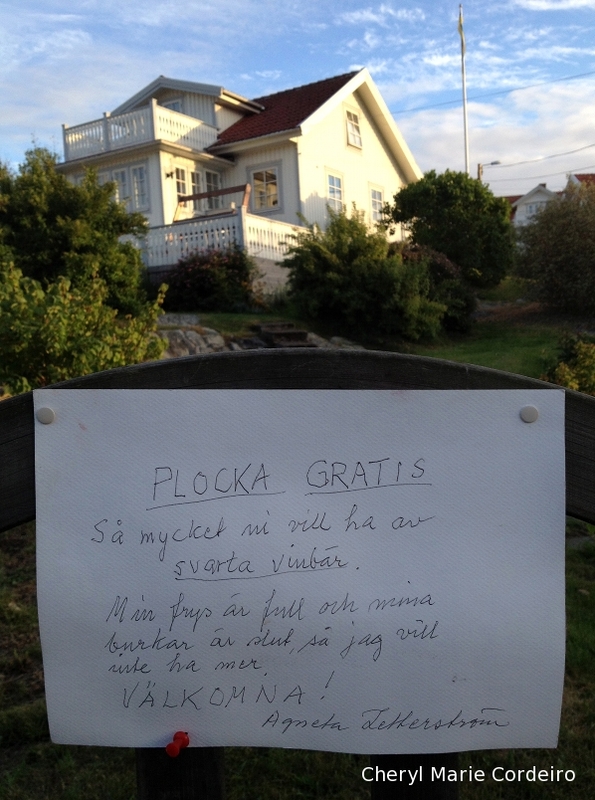 A noticeable feature of the houses found in the Swedish west coast archipelago are the picturesque gardens that look unkempt. 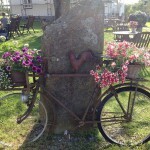 Seemingly forgotten and left wild, it is this visual feature that I find gives the gardens their defining, core beauty. 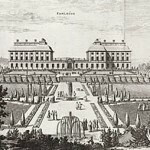 Since settling in Sweden more than a decade ago, I have now had ample opportunity to admire these grounds whether it is via seasonal garden parties or from long evening strolls around the neighbourhood. The garden closest to my heart, was once under the care of a professor in botany. To that extent, set in an undulating landscape, this garden has some interesting varieties of plants from Iceland Poppies (papaver nudicaule) that every year shed red petals after only a week of intense efforts of drawing attention to themselves from the local bee population, to sprawling crawlers such as the Grape Ivy (parthenocissus tricuspidata), that come autumn covers nearby branches and facades in a fiery red and green. 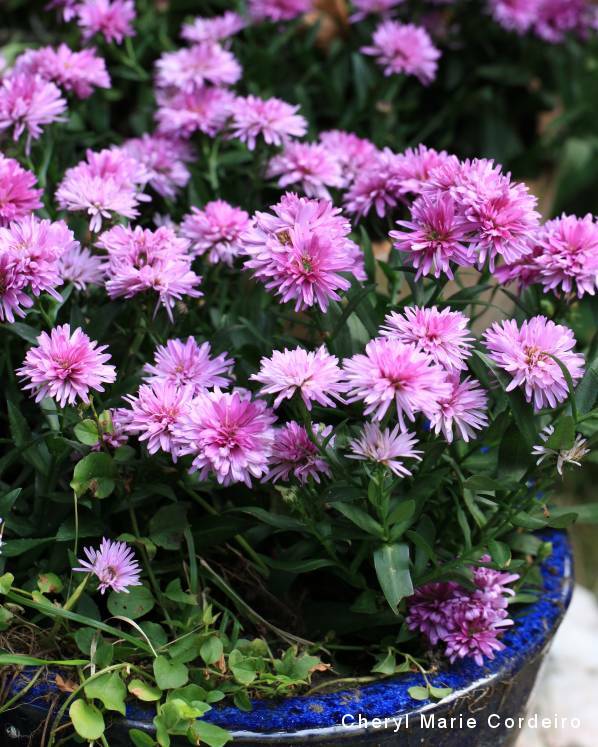 Symphyotrichum novi-belgii, also known as New York Aster. One question where opinions vary is when to plant perennials, in the spring or in the autumn? I’ve come to understand that landscaping a garden takes planning that might often span over generations, and could be described in efforts as nothing short of orchestrating a symphony of perennial blooms that unfold from early spring to late autumn, greeting people at varying heights. 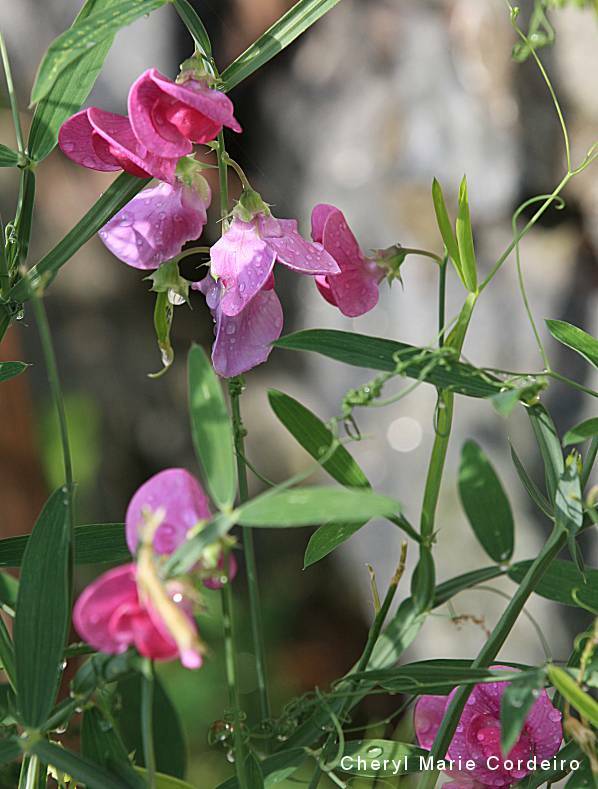 Lathyrus also known as sweet peas and vetchlings. This kind of flowers was at its height of popularity around 1900. This one have just made itself comfortable next to a warm stone wall and comes back year after year. 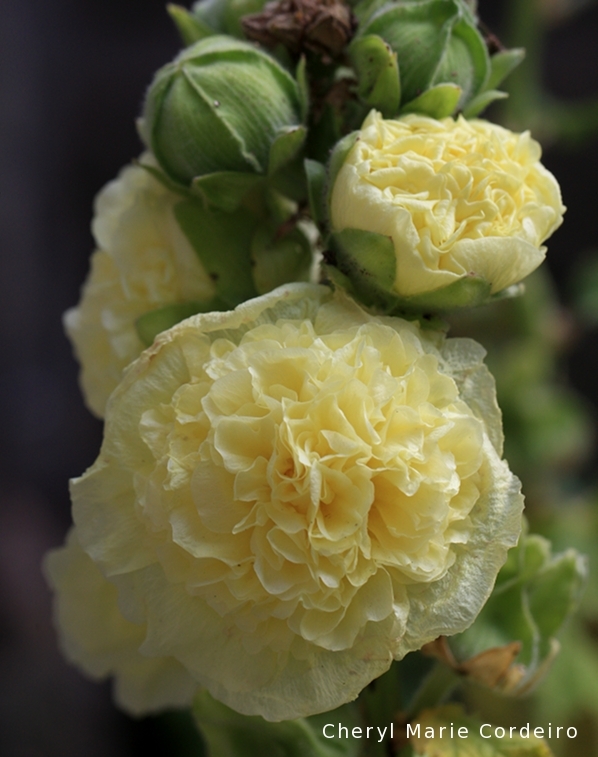 Alcea rosea or Hollyhock, in delicate yellow. 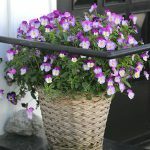 The general opinion maintained is that spring is the best, but given that this year’s spring has already gone, planting anything now would give these new plants a full year’s head start compared to any other plants that might otherwise be plunked into the ground, the next spring. 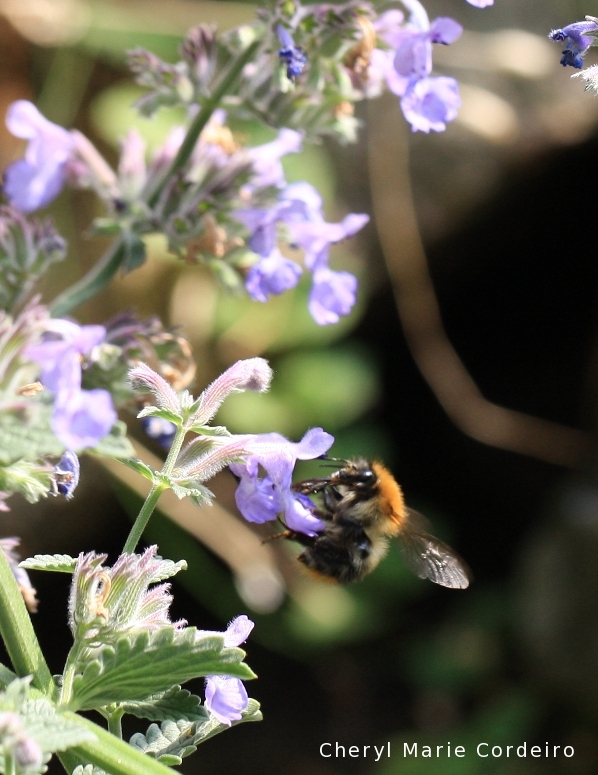 Nepeta × faassenii or Faassen’s catnip, enjoying the company of a furry bee. Other admirers of the gardens found on the islands are the local fauna that include the deer population. Where they ever came from crossing waters is a mystery, but they are here and have made the forests and gardens their home. While I personally love these friendly and playful animals and don’t mind sharing an apple (or an entire apple tree or two – alright, they actually seem to eat anything) with them, others consider them pests when their flowers are left half eaten in tatters and their rose bushes nibbled down to its stump. To that extent, I’ve often wondered why it was that this particular garden remained mostly untouched? 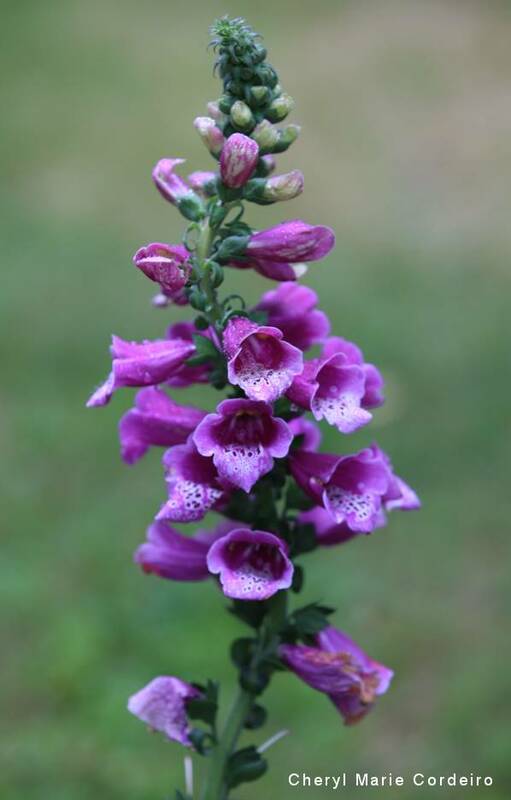 Purple spotted digitalis, foxglove or in medieval times, called the witches gloves or dead man’s bells. 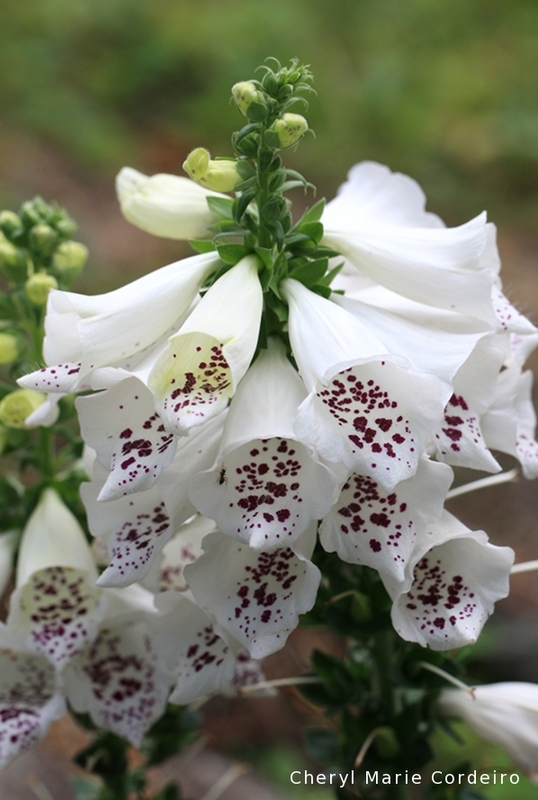 In answer to that, this year, my eyes fell on some glorious digitalis or “foxgloves” also called “witches gloves” and “dead man’s bells”. They are stunning under the late summer sun and were introduced to me as an herb for heart medication. It is however, a species of perennials that bear ambiguous properties, being both lethal and life saving at the same time. 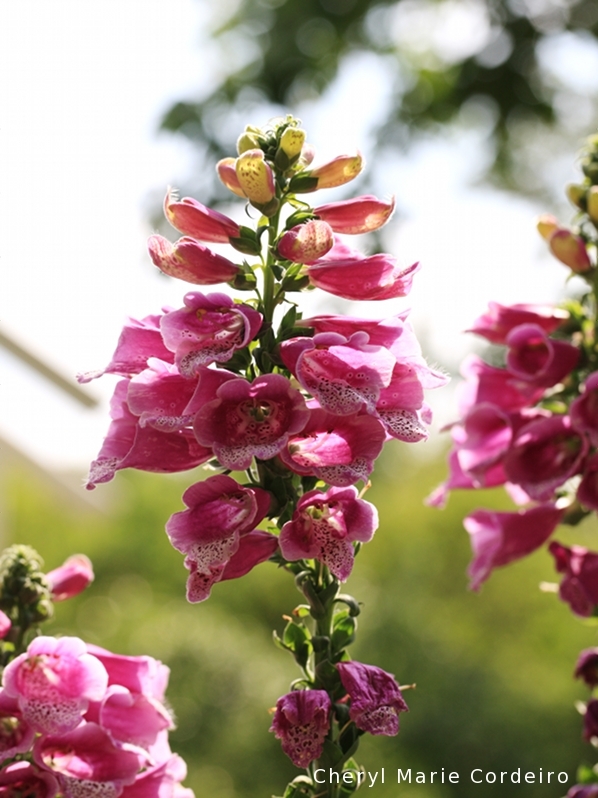 Known for its herbal properties and used in alchemy already during the Middle Ages, digitalis was officially recorded by an English botanist in the late 1700s for its medicinal use. 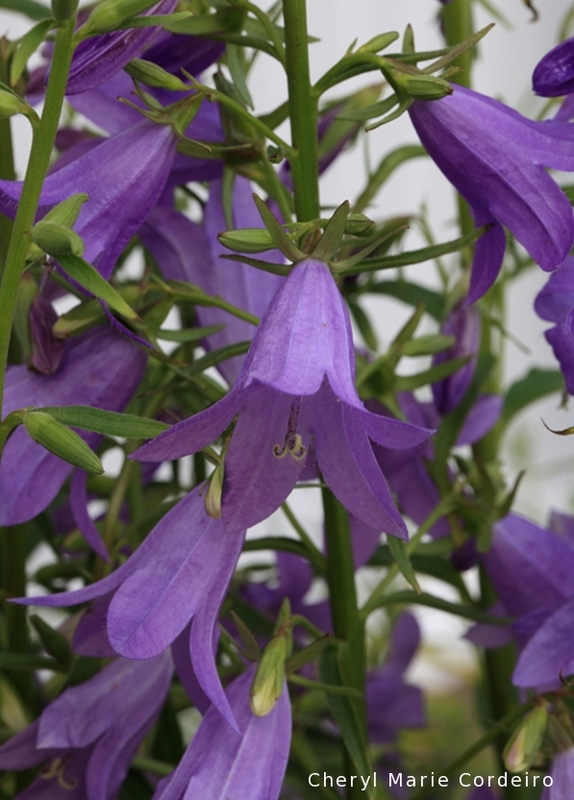 All parts of the plant, from flowers, leaves, roots and seeds, depending on dosage, are poisonous. On a more creative note it also appears that some of Vincent van Gogh’s paintings are believed to have been painted under the influence of digitalis intoxication hallucinations. 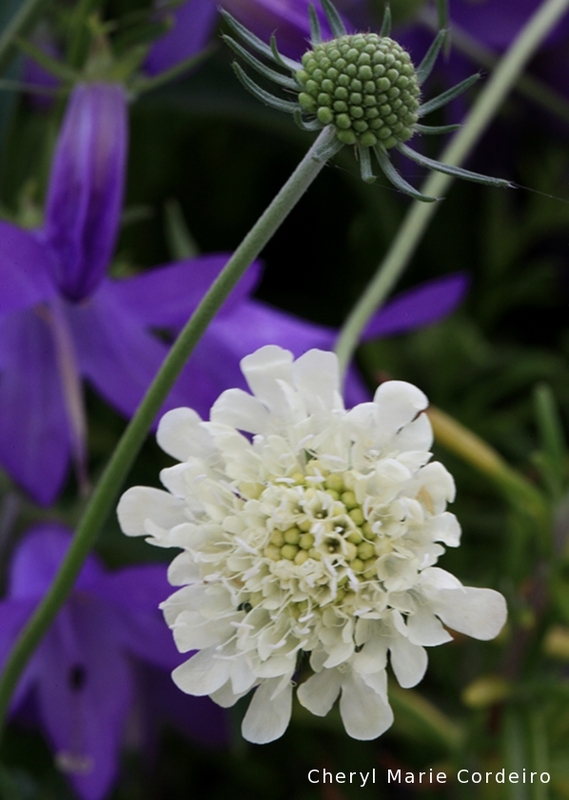 Scabiosa caucasica or Perfecta Alba that grows as a pincushion, in lace formation. While not painting much, I figured perhaps our deer population stays away not just from the toxic digitalis but from other flowers planted in proximity to them due to bad experiences of ingestion, thus saving the garden from being ravaged in its entirety? If so, I believe that many of our neighbours would love to share this insight, and perhaps take home some gorgeous foxgloves for their own gardens? 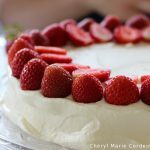 to anyone who wishes to have black currants of the season in this garden due to an “already full refrigerator” and a “lack of jars”, it is only to help yourselves to the picking. 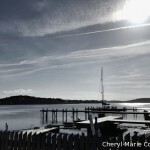 But however the gardens on the islands are managed, whether planned in landscape or left half ravaged by the local fauna, what is certain is that Swedes love their garden retreats as much as they love sailing as a hobby along the Swedish west coast. 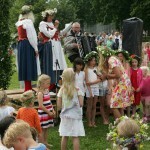 And to that extent, if you visit, you’ll find some very splendid cottage gardens full of exotic Nordic blooms and numerous varieties of fruit trees that might just offer you the chance at a picking of the season, for your own keeps.